The government is currently writing a new charter for how the BBC is run. We’ve already lost BBC Three and sports like Formula 1 and the Olympics to funding cuts. We can’t risk losing more. The BBC is part of who we are. It is our spotlight on the world and the way the world knows about us. In fact, every week 97% of UK adults tune in to the BBC online, on TV or on their radio, and more than 300 million people around the world join them. Isn’t that astonishing? And do you know the best thing? The BBC is independent and impartial, so there’s nobody looking to pocket a penny or two or push their own agenda. The Great BBC Campaign was started by two independent television producers – Charlie Parsons and Lord Waheed Alli who think that the BBC is the best of what it is to be British, and that once it’s destroyed, it can never be rebuilt. Don’t let the #GreatBBC become a memory, fight for it by signing up to the campaign today. A tax adviser and accountant to the media industry has been jailed for five years for evading more than £6 million in tax. Denis Christopher Carter Lunn ran a Sussex-based accountancy firm, Christopher Lunn & Co, whose 7,000-plus clients included many from the media and entertainment worlds. The firm was investigated by HM Revenue and Customs (HMRC) and in 2010 the premises in Crowborough were searched and Lunn was arrested. HMRC uncovered evidence of a range of serious offences, which included the inflating of accountancy fees and the fraudulent use of trading losses – all intended to help Lunn and his clients evade paying their fair share of tax. After five years of detailed investigation, Lunn was convicted at Southwark Crown Court in December 2015, where a jury found him guilty of four counts of Cheating the Public Revenue. “Lunn believed he could make up fraudulent claims to benefit both himself and his clients. Hard work from HMRC officers across the department proved him wrong. This long-running investigation has already recovered £20m as Lunn’s former clients settle their tax liabilities, with more to come. HMRC has now started confiscation proceedings to strip Lunn of any financial gain he made as a result of his criminal activity. As Lunn’s clients were unaware of his actions, they have been offered a chance to put things right for themselves by paying any tax and interest due. 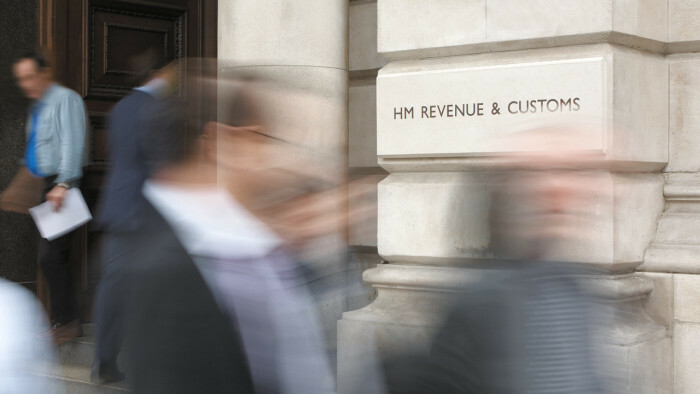 Any client who has not yet come forward pending the outcome of the trial is encouraged to speak to HMRC to bring their affairs up to date as many of his clients have already done. Civil investigations into Lunn’s clients have so far recovered more than £20m, with a projected £40m expected when all clients have settled. Lunn’s son, Christopher Jonathan Lunn (Jon), who also worked at the firm, was convicted in December 2014 on six counts under the Fraud Act, after he had sent false invoices to HMRC to try to cover up the fraud in the practice. We have just heard that the jury have returned a verdict of guilty against Christopher Lunn. Here is the press release from HMRC, which also acknowledges that his clients were not aware of any wrongdoing. So if you paid a fine you should consider applying to have this returned. Thinking of subscribing to My First Job in TV or Film? I paid a lot to these guys when I first started out and was always disappointed not to ever get anywhere with it! It was such a waste of money! I never received any responses to the number of jobs I applied for. Didn’t hear back from anything! Every time I applied directly through them i never heard back. I have only used it successfully once, when I contacted the employer directly and decided to not listen to the advice of “don’t apply through employer”. I spent 76 pounds between the two websites which was a lot when I was trying to find tv work and never got anything through the websites. Got no work from it! I’ve had no interest from this site whatsoever, even when I’ve been an extremely well suited candidate for many of the advertised positions. It really makes you feel unemployable – which is certainly not the case! Nothing came of the numerous applications i submitted via the site (the majority of which were only for work experience placements). Got absolutely nothing from it at all, and most jobs were available free elsewhere. Out of the 29 applications made I received no response at all. I had to cancel my MFJIF subscription last month after hearing barely anything back from the hundreds of jobs I applied for. I have a ton of experience working on independent films… I’m more than qualified for the positions I’ve been applying for. I have had no work from them at all. I subscribed to MFJ Film for around a year on and off and did not receive a single job. I can’t help but wonder if the production company who advertised even received my application. The team on these sites always sent emails offering help with cv and tips for interviews, I emailed them constantly but never heard back from them, to be honest I don’t even think the companies I was supposedly applying for received my application. I left because I wasn’t getting any jobs from the site, I realised some of the jobs were posted somewhere else for free and I never received any sort of help from them. Overall MFJF was a waste of money and I will never use the site again, especially if payment was required to check vacancies that are already out there. I never received a single response back. I’ve never even had an interview. Many of the ‘premium’ opportunities are still work experience or talent pool schemes with little or no pay. Essentially people are paying money to apply for the possibility of gaining work experience (no guarantee at all), something which doesn’t seem fair or right at all. I haven’t applied to every single job that comes up because I know the department I want to work in and I always read the job spec carefully, therefore I’m not always suited to the roles. However on the occasions where I am suitable I would apply in the same way as any other job – tailor my CV to the role, write a cover letter and send it off into the void. I have applied for less than 10 jobs in six months and not heard a single thing from anyone. I never got any work through them even though I applied for every paid relevant job on the site. I always noticed that there were far more unpaid jobs on the MFJITV site than paid jobs and a lot of these unpaid “work experience” jobs seemed to advertised again and again over time for the same productions. My suspicions about this were confirmed when I heard from a PD that had worked on one of these productions that they had a constant stream of work experience people to do certain tasks. I very quickly decided that the website wasn’t worth it as a lot of the stuff they had on there was unpaid work experience. I applied for numerous jobs on MFJ but had no acknowledgment, responses or interviews from any. There never seemed to be many new jobs on there either, and a lot on the listings were closed and just hadn’t been taken down. Very few of all their jobs were paid – I don’t remember there being more than 1 page of paid work adverts on there. Not getting much for £60 subscriptions for a few months. The only time I ever heard from MFJ was when I emailed wishing to cancel my subscription! 6 months with them, paid membership, never got even the easiest 2 weeks long volunteering job and I’ve applied to a lot. I used to apply thinking I am just not good enough to even get a rejection email. In all the ones I’ve put my applications in for (a fair few! ), I’ve only ever heard back from one. Plus, a lot of the jobs ads don’t disclose the companies advertising, so it’s tricky to know who you’re applying to further than the basic info provided by the site. I applied for over a hundred roles via them over 6 months and didn’t get anywhere with any of them. I feel I conducted myself professionally and was definitely a viable choice for a worker, but I think I just got lost in the immense sea of fellow applicants. Most of the jobs turn up in other places anyway. MFJIF claims to have exclusive rights to big films jobs but I never got even a sniff of work on any of these so I am dubious. MFJITV advertises jobs that can be easily found in several other places for free so that is not worth paying for. I never even received a response from any of the applications I submitted via the site, let alone an offer of work, yet managed to get work and places on trainee schemes through other means like the Shine Group’s online database and Creative Skillset. MFJIF was by far the least successful option for finding work and I don’t think that’s (entirely!) a reflection on my applications. They post jobs that are posted for free on Facebook or The Unit Base (List) and they don’t offer you any sort of help regarding CVs or cover letters. MFJIF is a complete waste of money. I have applied to hundreds of jobs on their site and I haven’t had any feedback from any of them, needless to say it has been a very demoralising ordeal trying to find work because I don’t think I should be in this position. I didn’t hear a thing at all; applying for everything that I was suited for both unpaid and paid. They were a waste of money to me, didn’t help at all. I paid £80 for a years subscription. I’ve had no work from the site. Despite my existing experience in the industry I have never seen the shadow of an opportunity to thank them for. I have paid for 3 one year subscriptions to My First Job in Film and 1 one year subscription to My First Job in TV. I did not receive any work from either site. I’ve paid for subscriptions on several occasions and have had no luck in finding any work through them. In the past I’ve found the lack of information about the roles they give and the necessary payment before applying absolutely infuriating and I will never be giving them money again. I lost £115 on that website, I still haven’t got any job from it. The only time they called me for a job interview, they didn’t actually offer the job advertised on the website and they were not going to provide expenses (it was a work experience). I subscribed to the site with a large portfolio of work for high end clients and never once got an email in any form from a company. A friend of mine who has been on a course with the NFTS also never received any emails. I’ve paid £75 in total for their subscription service, and I have yet to get a response from an employer. It’s one of those things, you don’t want to have to pay for the service, but you’re scared if you don’t you’ll miss out on an opportunity. I’m not renewing my subscription after this month. In my view, it’s been 100% useless. I used it for longer than 6 months and heard back from no employers despite my experience. In the 12 months of being a member I’ve not gotten one job. I know the market is competitive but once your application forms gone, it’s like it’s gone to Narnia! Following on from our survey about subscription jobs sites like My First Job in TV/Film and Production Base (and the promise from recruiters not to use them), the Sunday newspapers have shown an interest in what these companies are doing. Here’s the article, from the Observer. And a reminder – you really don’t need to give your hard earned cash to these companies, there are masses of places where you can find all the jobs for free! 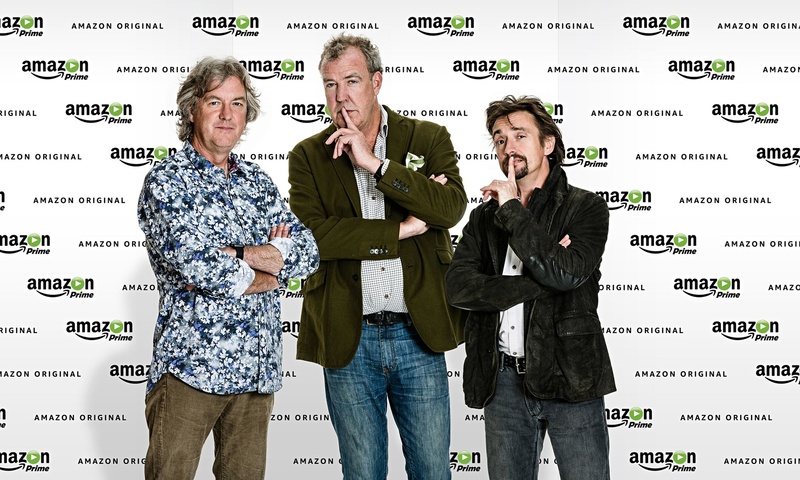 Unsung heroes complain at being charged to apply to shows such as new-look Top Gear. They make the tea, clean the sets and sort out lunch for the stars, and hope for an eventual promotion to a bigger, better role. But there is rebellion brewing among the unsung heroes of the showbusiness industry. Officials connected to the Department for Business, Innovation and Skills have launched an investigation after about 120 angry “runners” complained that to obtain their lowly jobs they first had to pay hundreds of pounds to showbusiness employment agencies, including one site that is currently recruiting runners required for a new Clarkson, Hammond and May car show, the Top Gear-style programme to be launched by the Amazon subscription service, Prime. The runners – who are often paid the minimum wage – claim that websites such as Production Base, My First Job in TV and Film, and Film and TV Pro were illegally charging as much as £15 a month to have access to job adverts. The Employment Agencies Act 1973 makes it “illegal, except in specified circumstances, for an agency to charge a fee in Great Britain to someone who is looking for work”. Each of the websites claims to have successfully assured the inspectorate that its business model complies with the law, since the websites are covered by an exemption designed to permit newspaper-style job pages. But Laura, 26, one the complainants, who did not want to reveal her identity, said she had spent “easily £120” on the Production Base website – money that she could not afford and should not have paid. “I am very angry because I come from a council estate in Ireland, I don’t have the contacts, and this world is all about who you know,” she said. “So I paid out to see the adverts. And I don’t think it is right. That money could have been spent on rent and food. Mark Watson, a television director who runs a campaign to expose poor work practices in the TV and film industry, said it was not fair to charge such fees to people on the lowest rung of the ladder. A spokesman for Production Base said it fulfilled a vital service in helping people into the industry. “We were asked by the Employment Agency Standards Inspectorate to clarify that our business was adhering to all relevant legislation. After very positive dialogue with them, we are happy to confirm that we conform to their guidelines,” he said. A spokesman for My First Job in TV, who confirmed that it is still in discussions with the inspectorate over aspects of its website, said: “We were delighted to engage in dialogue with the EAS. They have confirmed that we are in total compliance with the regulations.” Film and TV Pro did not respond to this newspaper’s questions. Runners must be paid via PAYE and are not permitted to be registered as self employed for their runner work. 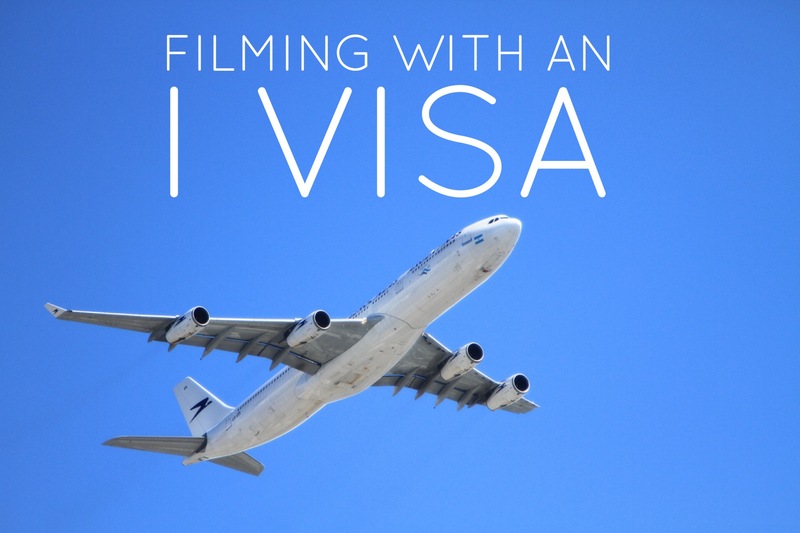 The only variation to this is that a runner can be paid gross if they work for less than seven days for a company, and there is no intention for them to be rebooked for further engagements. In this case, you can be paid gross however – crucially – the company MUST pay your National Insurance and must give you a pay slip which shows that. This does NOT however make a runner “self employed”. There is one other exception relating to getting a special letter of dispensation but it very rarely applies. If a company tells you you must be self employed to do a job for them, or tells you you are “freelance”, or does not pay your NI then they are breaking HMRC’s rules and you will be losing out on a number of benefits by them treating you this way. 2. In terms of pay, every runner should be paid at least the minimum wage for every hour that they work. The minimum wage rates (including the new rate for over-25s) are here. To work out if you are getting the legal minimum, take the number of hours that you have actually worked (not including your lunch hour) and multiply that by the applicable minimum wage rate for your age. If the pay you receive for that day’s work is less than that amount (no matter what your agreed rate is) then you have been underpaid. Many runners are often not paid what they should be because they are being worked for over-long hours for a rate of pay which is not sufficient to meet the legal minimum. Also, if you are taken on for unpaid work experience and are then simply treated as a worker, you should be paid at least the minimum wage for all your hours. 3. Runners should be paid holiday pay, accrued for every day they work. All workers earn an entitlement for time off when they work for a company. In an ideal world, they would be allowed to have that time off while they are working, however the demands of production mean that most TV workers are unable to take that time off during a production. If that happens then the company should pay you an amount of money on top of your pay in lieu of that holiday. That amount comes to 10.77% of the amount you have been paid. That sum should be passed to you at the conclusion of your contract and cannot be “rolled up” into your rate of pay (- ie they cannot say at the beginning of your contract “this is your daily rate and it includes holiday pay”). 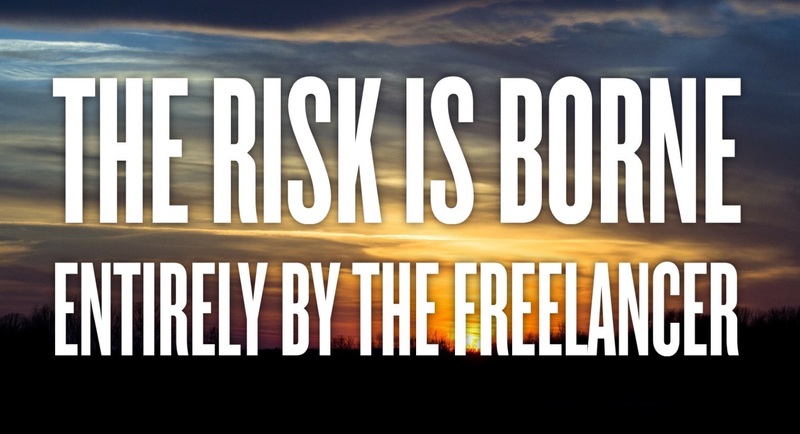 “Being freelance” generally means that you are someone who works for a lot of different employers. It isn’t a statement of your tax position (the word “freelance” means nothing in tax terms), it is simply a way of describing the way you arrange your work life. “Being self employed” has an official meaning however. It defines the legal status of your working life. To become “self employed” you have to register with HMRC and fill in the self employed pages of your self assessment tax return every year. You will be able to claim certain expenses against your income but you do lose some important rights. “Self assessment” is one way that HMRC can be informed about what income you have and what tax you therefore owe. Many people have very simple tax affairs, they work for one employer who deducts tax and NI when they are paid and they have no substantial savings or investment income etc. These people do not have to register for self assessment and do a tax return every year as they have paid their tax in full automatically. When someone’s tax affairs become a little more complicated they will have to complete a self assessment tax return every year (they either apply to do this or HMRC write and tell them to). In that way they can notify HMRC of their financial situation so they can pay the correct tax. Any extra tax owed is paid in lump sums at the end of January and July every year, including some in advance for the following tax year, based on HMRC’s estimate of how much might be owed. Where these estimates are wrong, HMRC readjusts the amount owed in the following year. BECTU have set up a new Production Supervision branch, which they are inviting BECTU members and non-members to join . The short term objective is to establish a set of Terms and Conditions as part of the current Pact / BECTU process and to follow this by establishing a rate-card for members working in these roles. This branch will aim to hold its first meeting on Saturday 18th April 2015.